Water Taxi transport to Minaret Burn and Rumbling Burn gives hikers and mountain bikers access to the beautiful West Wanaka track. The large gravel beach at the mouth of the Minaret Burn allows for easy boat access. The track climbs steeply from here gaining a terrace high above the lake. Traversing across the face of the mountain with stunning views of lake Wanaka and Mou Waho and Mou Tapu Islands. The track then descends to the lake shore where easier terrain leads you along the lake where after a couple of stream crossings you arrive at homestead bay and the west Wanaka road. Finish here or carry on through Glendhu linking in the millennium track for a full day ride. Great for hikers and mountain bikers, other drop off points available. 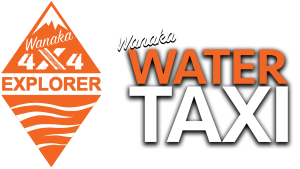 I consent to Wanaka Water Taxi And Wanaka 4x4 Explorer collecting my details through this form.